Valhalla, NY—Fujifilm North America Corporation released the names of the first-quarter winners of the Fujifilm Masterpiece Award for photographic excellence. The winners were revealed at the Professional Photographers of America (PPA) affiliate print competitions. The award is administered by state and regional affiliates of the PPA exclusively for the members of these organizations. It is available to affiliates in the United States, Canada and Mexico. 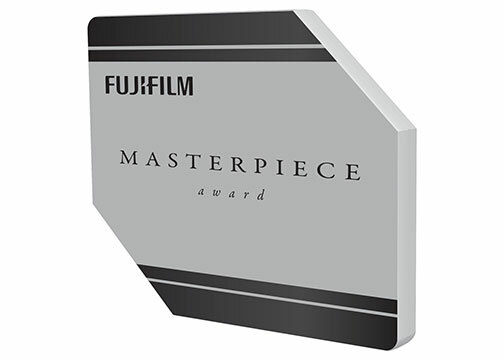 Moreover, the Fujifilm Masterpiece Award is given for prints that reflect the highest level of professional photography in the wedding, portrait and illustrative categories. Only prints with scores above 80 are considered to meet the criteria for the award. Furthermore, it is the highest honor for PPA print competitions that is given by Fujifilm. The following photographer was awarded the Fujifilm Masterpiece Award at the Florida Professional Photographers Association Print Competition. ● Ginny B. Otto /Photographic Artistry, for the photograph title Pelican’s Pride in the illustrative category with a score of 81. American Color Imaging (715 E 18th Street, Cedar Falls, Iowa) printed the award-winning print on Fujicolor Crystal Archive paper. These two photographers garnered the Fujifilm Masterpiece Award at the Twin Cities Professional Photographers Association Minneapolis Print Competition. American Color Imaging of Cedar Falls, Iowa, printed both photographs on Fujifilm Crystal Archive paper. ● Elizabeth Hanly/Posers Photography, for the photograph titled Barin’ It All in the illustrative category with a score of 83. ● Lisa Asp/Tangerine House of Design, for the photograph titled His World Has Just Changed Forever in the portrait category with a score of 84. The following photographers were bestowed the Fujifilm Masterpiece Award at the Professional Photographers of Washington Print Competition. All three photographs were also printed on Fujifilm Crystal Archive paper by American Color Imaging. ● Doug Walker of Walker Photography, for the photograph titled On the Cutting Edge in the illustrative category with a score of 87. ● Doug Walker of Walker Photography, for the photograph titled The Ascent in the illustrative category with a score of 87. ● Faye Johnson of Faye Johnson, M. Photog., FP, CPP, for the photograph titled Eyes of Sauron in the portrait category with a score of 85. The following photographer was awarded the Fujifilm Masterpiece Award at the Maryland Professional Photographers Association. ● Aaron Beale of A.R. Beale Photography, for the photograph titled Cadillac Man in the portrait category with a score of 91. Bay Photo Lab (920 Disc Drive, Scotts Valley, California) printed the award-winning print on Fujicolor Crystal Archive paper. The following photographer was presented the Fujifilm Masterpiece Award at the Wisconsin Professional Photographers Association. ● Kenneth Martin of Martin Photography, for the photograph Valley Girls in the illustrative category with a score of 87. Color Inc. (3280 Chicago Drive S.W., Grandville, Michigan) printed the photograph on Fujicolor Crystal Archive paper. Finally, the following photographer was awarded the Fujifilm Masterpiece Award at the WPPA (North Central District Competition). • Mike Kallies of MK Photography, for the photograph titled Fierce Elegance in the wedding category with a score of 80. American Color Imaging also printed this photograph. “Fujifilm is proud to honor photographers who strive to create images of excellence and distinction with this award, as well as to work with Professional Photographers of America (PPA) to recognize these incredibly distinguished professionals,” the company announced.